This Readyset puts world-beating racing technology at your fingertips! Get your hands on a dominant racing machine, at an affordable price! Each LAZER ZX-5 Readyset incorporates the latest racing technology and race-bred performance in its purest form. The pre-assembled chassis is pre-installed with a high-power motor and R/C system. Even the body color scheme is complete. But as a pure-bred racer, no compromise has been made on the machine's top-class racing performance. Just add charged batteries (sold separately) and performance to dazzle expert racers is ready for action.  Kyosho's design and construction is entirely focused on racing victory, so this package makes the perfect partner for your first shot at EP off-road glory. The huge range of optional parts available also allows you to explore the outer limits of R/C speed as the LAZER ZX-5 Readyset takes your racing experience beyond your wildest imagination.